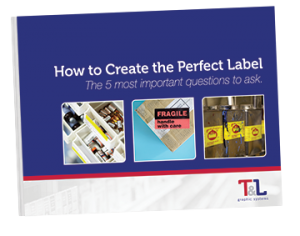 Download our FREE eGuide, "How to Create the Perfect Label"
Fill out the form to download this FREE eGuide. "I spent hours designing the perfect label, only to have it curl and peel after application." All too often, it’s tempting to go with the least expensive option, but if that means the label is doomed to fail, you’re not doing yourself any favors. If your label falls off, fades, or becomes unreadable, you’ll end up spending more money to fix it. Just fill out the form to get this FREE eGuide to learn the 5 most important questions to ask to ensure you get the labels that exceed your expectations. Yes. Subscribe to T&L Graphic's quarterly eNewsletter, Label Trends. Helpful resource with production tips and label trends.